It’s a three-letter word Kevin uses a lot. The 33-year-old still manages to find the happy side to a business where 18-hour days are the norm. 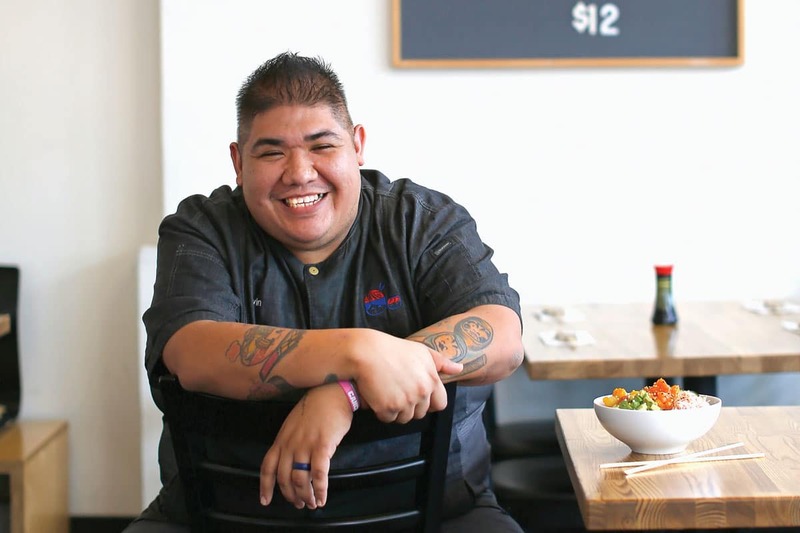 His sunny attitude and his work ethic have made him popular for the 10 years he has been at Tokyo and with fellow chefs who have leaned on him for support, advice and help. 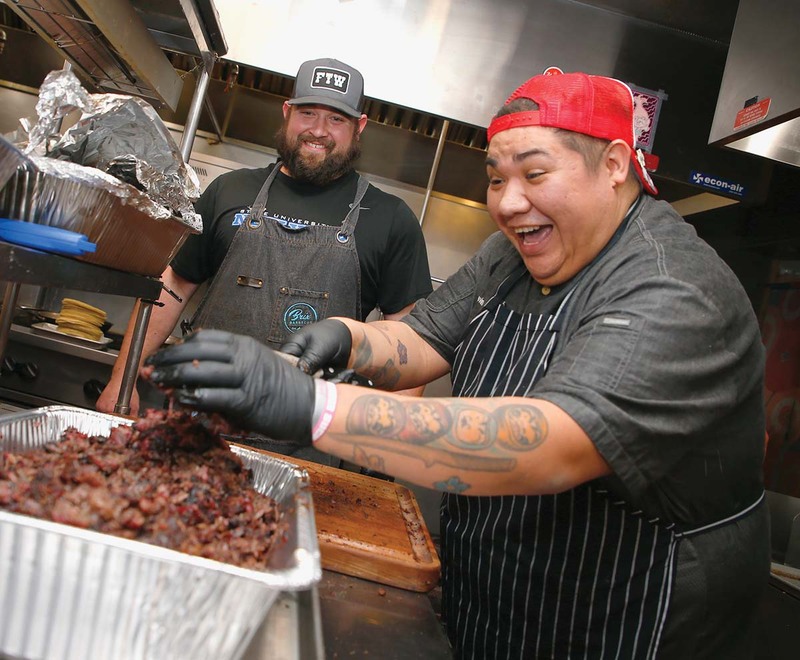 Trevor Sales of Brix Barbecue and Kevin prep their East-meets-West menu for a Sunday pop-up at Tokyo Cafe. Sales made a kimchi slaw and Kevin made the potato salad to accompany the slow-smoked beef cheek and duck fat tortillas, beans, chicken wings and pickled vegetables. 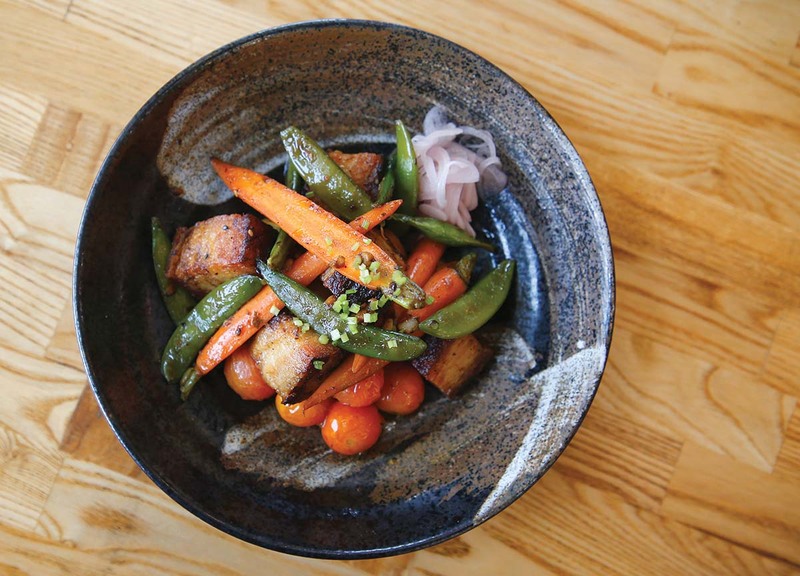 A Tokyo Cafe dinner special of tender smoked pork belly with lightly sauteed sugar snap peas, baby carrots and sweet cherry tomatoes with pickled shallots. Kevin garnishes the dish with chopped cilantro stems. Kevin was born in Denton, but his food roots run south to Mexico, where his grandmother made tortillas and topped them with grilled onions, avocado and a tomatillo salsa (this would be his last-meal request, by the way). Early in his career, he sharpened his knives and honed his cooking skills locally in the hospitality industry. He was working at the now closed Cafe Nutt in Granbury when he spotted a Craigslist posting for a chef job at Tokyo Cafe. In June 2014, everything changed when extensive damage from a kitchen fire closed the restaurant. Months went by as the Hos were busy opening Cannon Chinese Kitchen along with dealing with post-fire issues at Tokyo. They kept Kevin on the payroll as long as possible before funds became scarce. 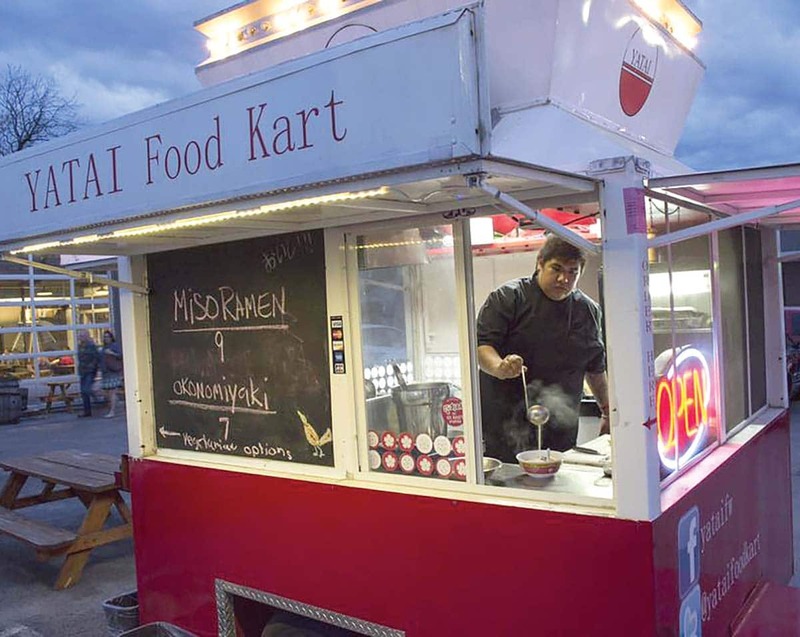 It’s cozy inside the Yatai Food Kart. With limited space, he also serves a limited menu, including a bento box, below. 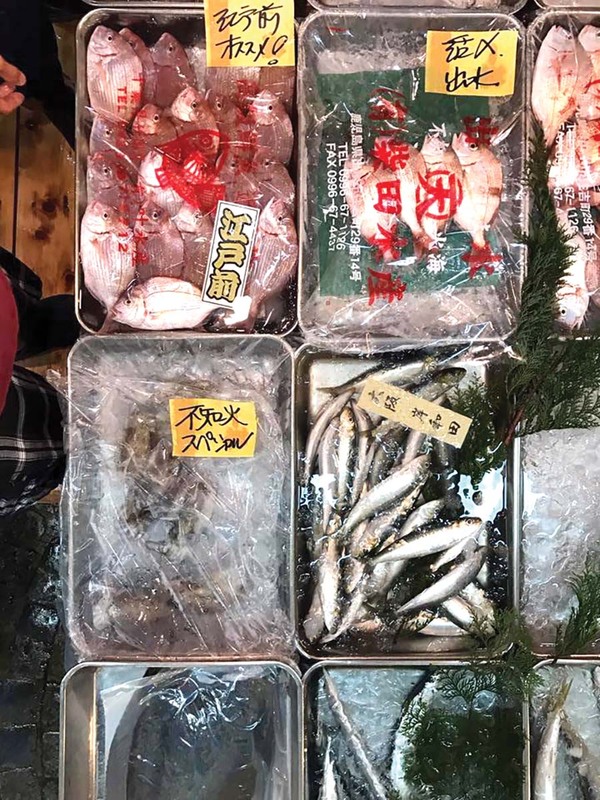 Kevin made time for a trip to a fish market in Tokyo to check out the goods. But the food cart had become sort of a test kitchen, and Kevin introduced some new dishes with Jarry’s blessing. The Tokyokonomiyaki, a savory pancake topped with bonito flakes, and the tempura Brussels sprouts served with white soy are both Yatai experiments. “Kevin will show me a new dish knowing that I’ll ask if the dish can be made with consistency and if it involves a new ingredient, if that item can be used in another dish,” says Jarry. 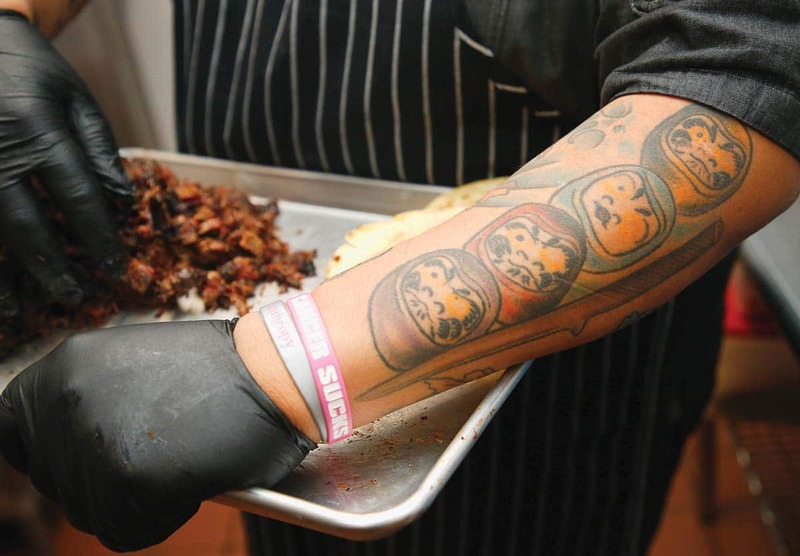 It’s why pork belly can be found in several menu offerings. It’s a testament to the fact that as a chef, Kevin always has played well with others. It’s no surprise to see his colleagues — Fort Worth’s Tim Love, Jason Harper of Trio New American Cuisine in Colleyville or the Classic at Roanoke’s Charles Youts — dining in the restaurant. But it’s the couple whose parents ate there and who now bring their kids who are most important. It’s the regulars who were there the first day of the reopening and those who embrace both the classic beef bowl and a 45-minute wait for dinner. Kevin wears rubber bracelets and pins from charity events he has worked. His nickname, Kmart, started when he was in high school. Tokyo Cafe Open for lunch and dinner six days a week. 5121 Pershing Ave., 817-737-8568, tokyocafefw.net. Follow Yatai Food Kart on Facebook @yataifw for events.